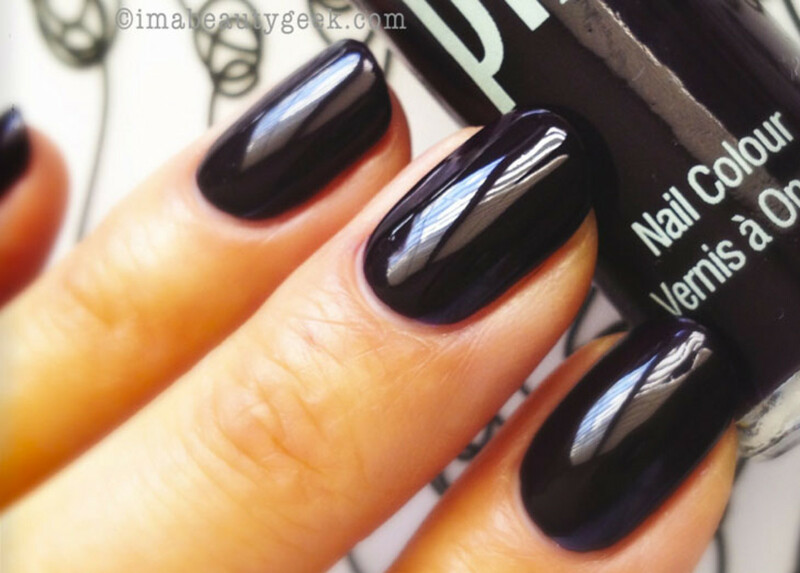 Blackened is the new black in nail colour for Fall 2013. 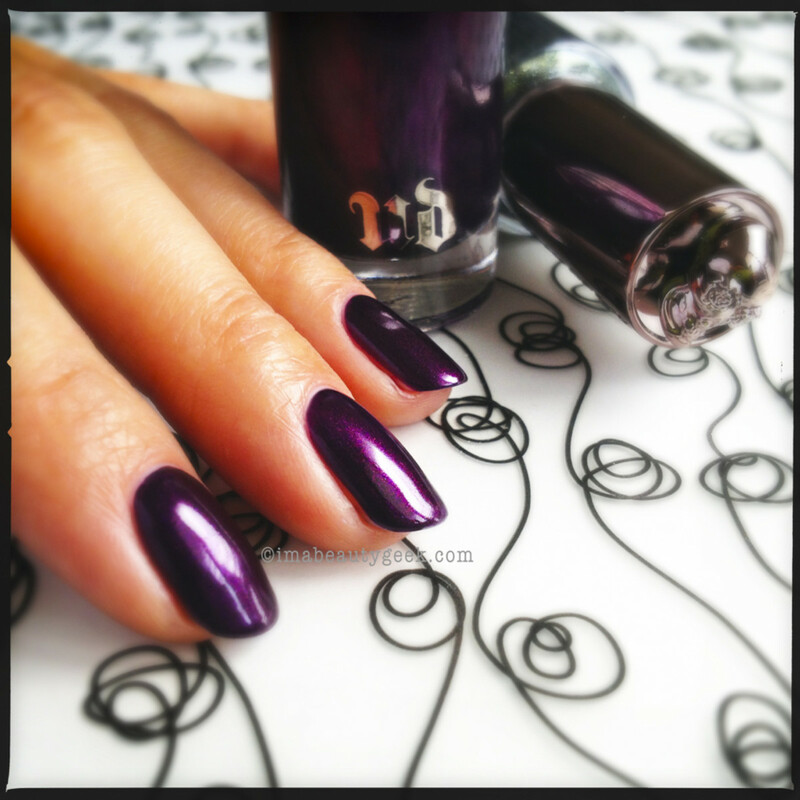 Inky shades of burgundy, purple, plus matte black + glitter, and a cool top-coat change-up -- this is the season to indulge to your dark side. 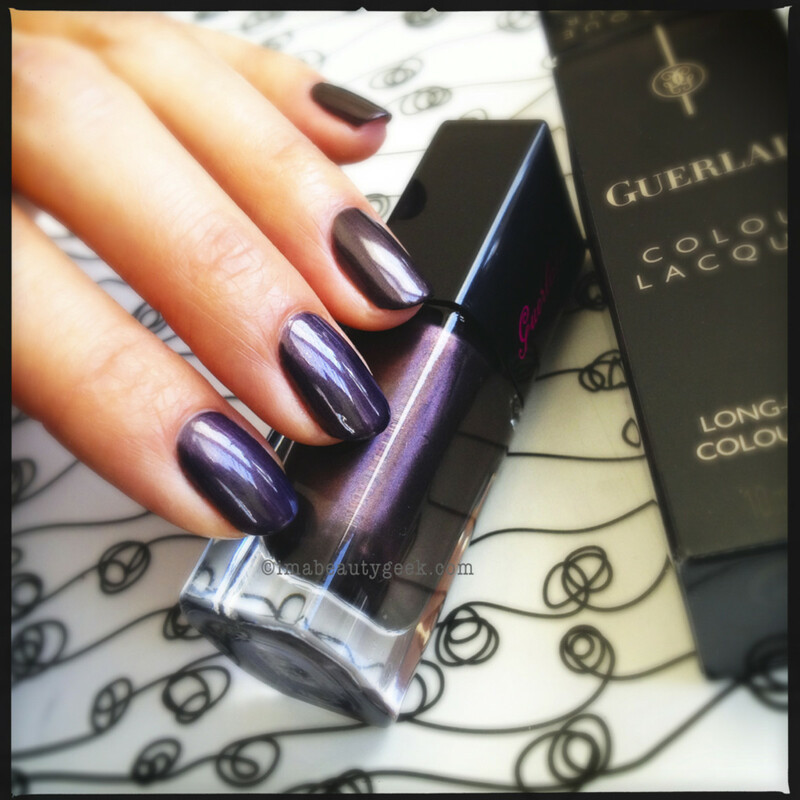 Here are some of our favourite blackened nail polish shades plus a side of holiday hues for your black list. Pixi Deepest Dahlia ($8, target.ca for stores) is a little more plum than something you might have seen rather recently, but equally as stunning. You only need one or the other. 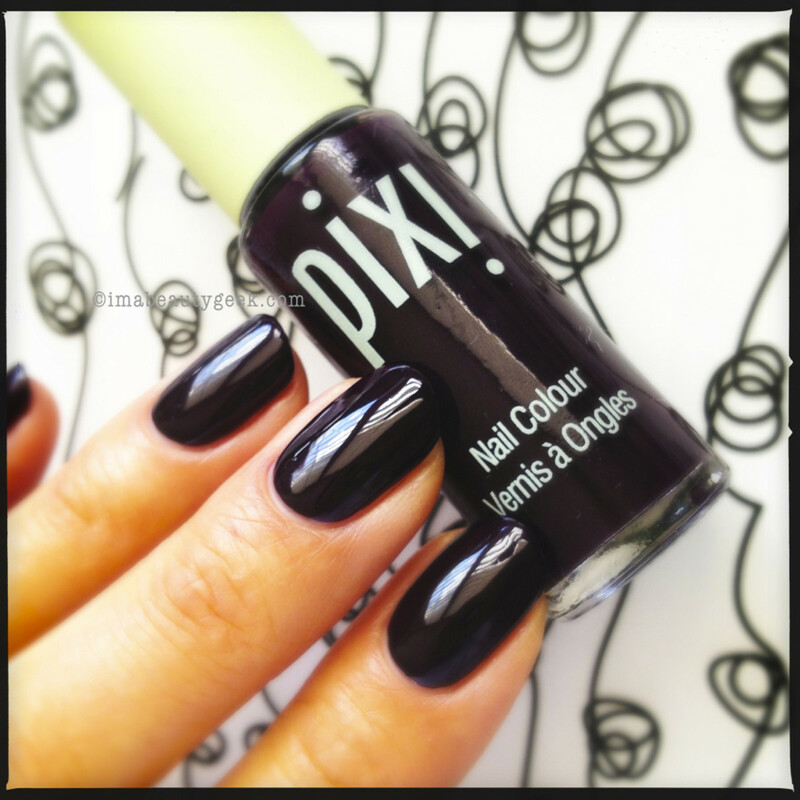 Note: Pixi is one of the most pungent nail polishes my nose has met. What&apos;s that about? 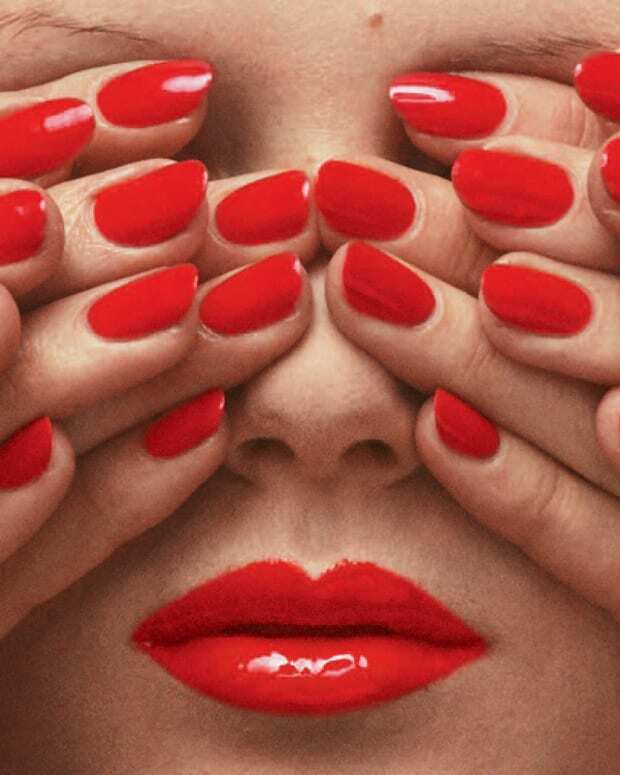 MAC Gadabout Girl Nail Lacquer (MAC Holiday 2013, $19, maccosmetics.com) is a re-fire hitting counters next month, but look at it! 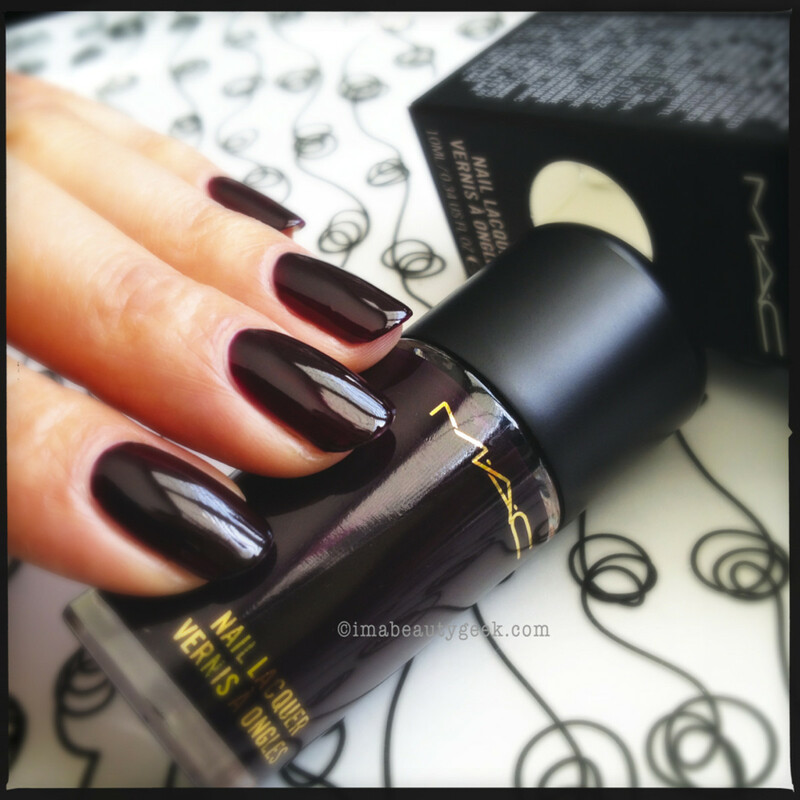 In two coats, it’s a seriously dramatic blackened burgundy. Or maybe blackened burgundy. 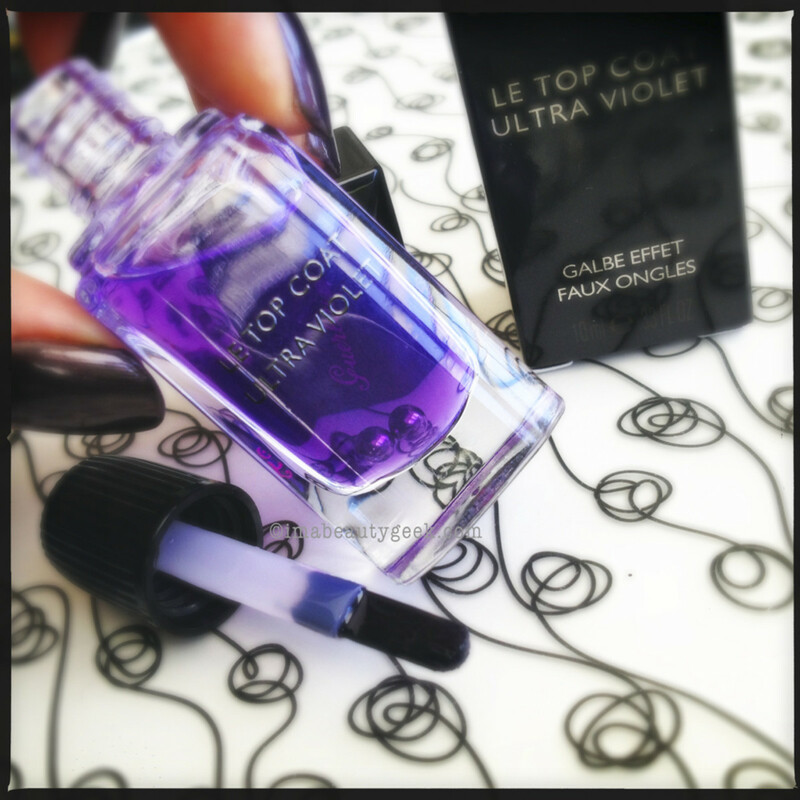 Guerlain Ultra Violet Top Coat (Guerlain holiday collection available in November, $25) is what I used to topcoat my first two fingernails in the Guerlain Sulfurous polish photo up there. It noticeably brightens the polish underneath, doesn’t it? To a kind of blackened violet? I love that – s’like magic! And wait, there’s more… it glows under UV light. (Yeah, I stuck it in my gel lamp to see if it does glow and it really does glow). I’m not quite sure why that’s a selling point but it is. I’d buy it just for the brightening power. 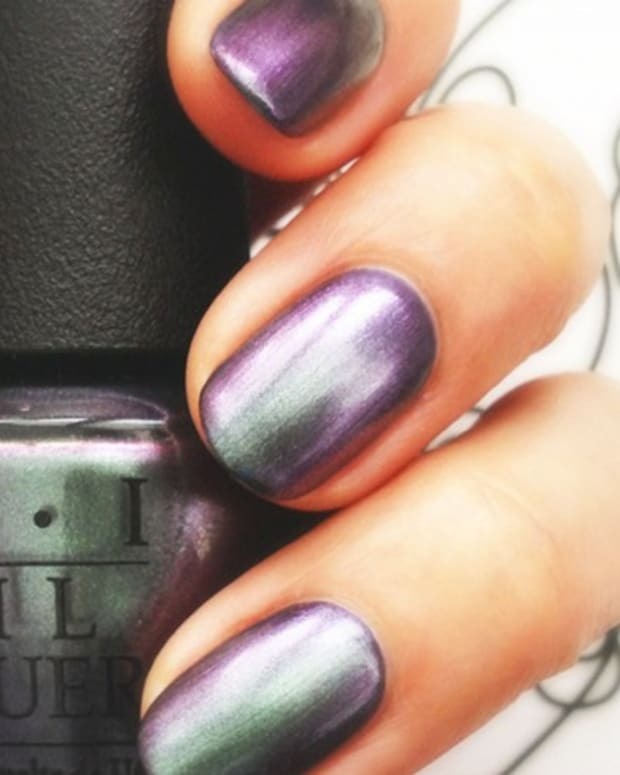 Urban Decay Vice ($18, select Shoppers Drug Marts and sephora.ca) I know you just looked at this picture and said “Where can I get it? ?” And you should get it; Urban Decay does good polish. It&apos;s great. J&apos;adore. 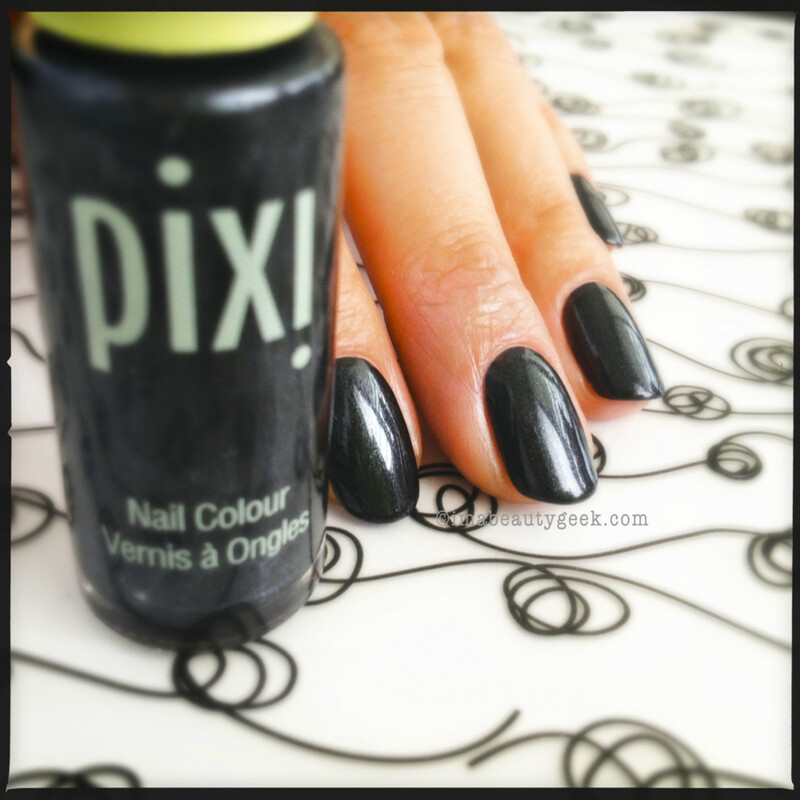 Pixi Charcoal Celebration ($8, target.ca for stores) is blackened grey, I&apos;ve decided. Charcoal grey, to be specific, with a slight shimmer. I love this more than I love Essie’s Cashmere Bathrobe. Yep, more. 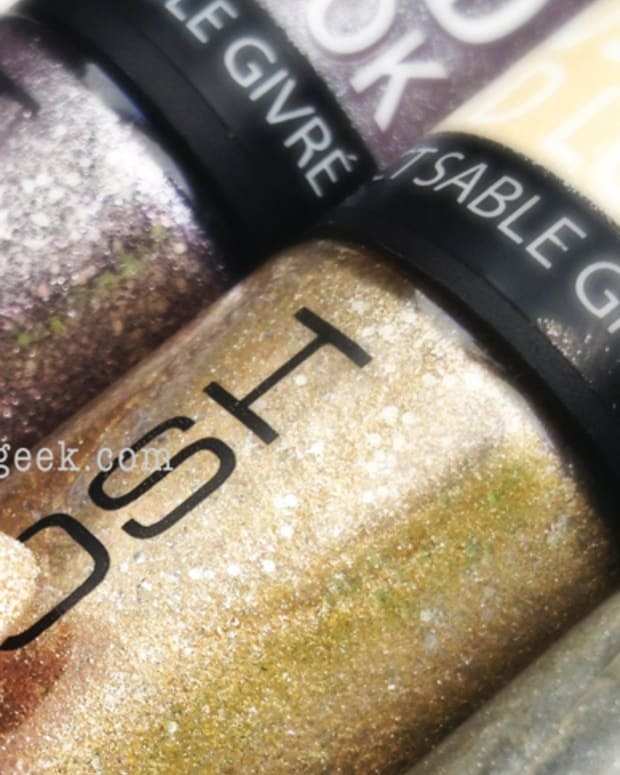 Less jelly-like and more shine = more bang for your polish buck. Go, Pixi! 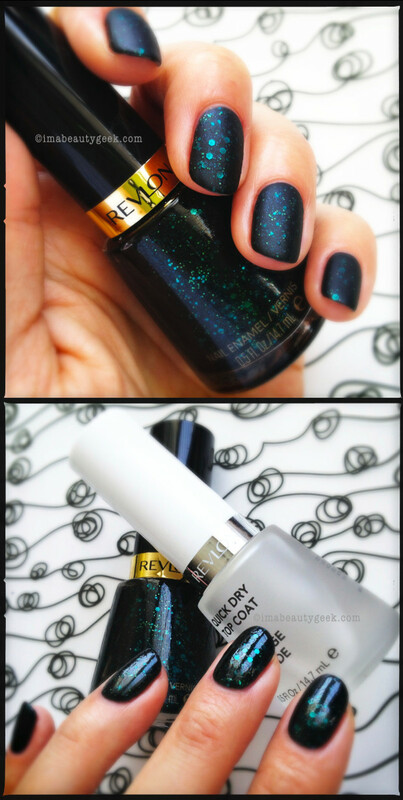 Top: Revlon Elusive no top coat. Bottom: Revlon Elusive with top coat. 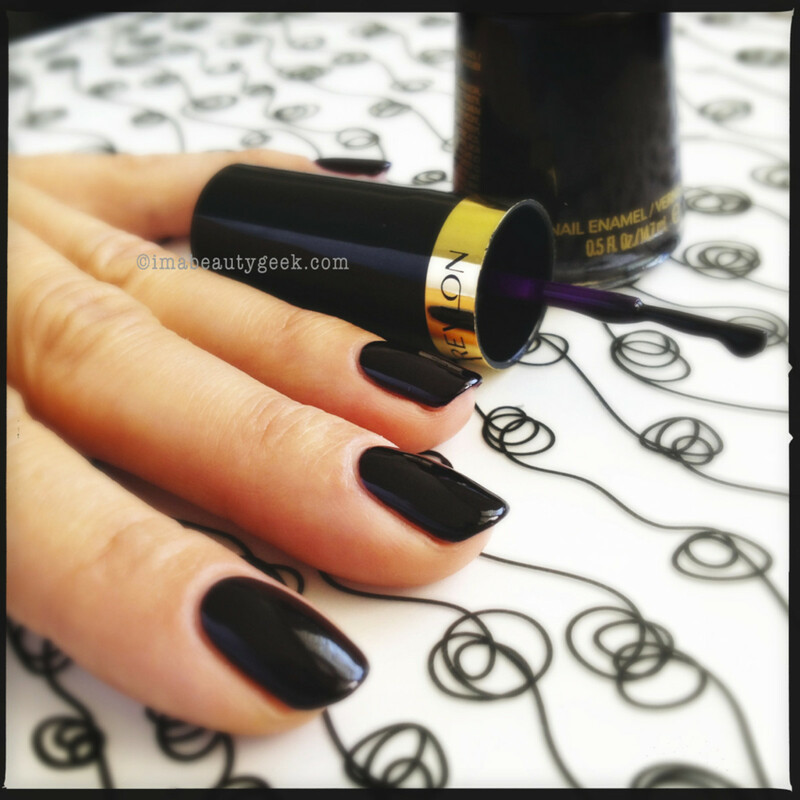 Revlon Elusive 736 ($5.99, drugstores at the end of October) Told ya Revlon&apos;s nailed it this season. About this matte black with glitter, I don’t have words. Oh, wait, I do. Gimmie that. Gimmie that. Gimmie that. Prepare yourself for compliments. Lots and lots of compliments. A winner (gagnant!) with or without top coat. Are you with me on these blackened beauties?